London Olympic Stadium holds 80,000 people. This blog was viewed about 640,000 times in 2011. If it were competing at London Olympic Stadium, it would take about 8 sold-out events for that many people to see it. The title refers to the common organizational practice of distorting reports, facts, and statistics to hide problems—until, of course, the problems become so severe that they can no longer be hidden—Google “Olympus Corporation scandal” for a prime example. Of, to take a domestic example, the false claim that the air around the wreckage of the World Trade towers was safe—a perfectly good lie until the workers started falling ill. But Christine Todd Whitman got away with it, and she’s quite happy about that. The New England Journal of Medicine took a look at the issue in 2007 and Wikipedia has an excellent summary article of the situation. The idea to which the title refers is that top management, on learning that some indicator is showing serious problems—the needle now being in the red zone—will without hesitation immediately call for bending the needle so that it’s back in the green. Indeed, in my experience, this has been the first response, but perhaps I’ve not had the experience in working with truly good companies in which there is a strong moral obligation to face the truth and report the facts: like the Catholic church, for example. Jill Korber walked into a drab police station in Queens in July to report that a passing bicyclist had groped her two days in a row. She left in tears, frustrated, she said, by the response of the first officer she encountered. While it is difficult to say how often crime complaints are not officially recorded, the Police Department is conscious of the potential problem [the Police Department should be conscious of the problem, because it is the Police Department that is causing the problem – LG], trying to ferret out unreported crimes through audits of emergency calls and of any resulting paperwork. As concerns grew about the integrity of the data, the police commissioner, Raymond W. Kelly, appointed a panel of former federal prosecutors in January to study the crime-reporting system. The move was unusual for Mr. Kelly, who is normally reluctant to invite outside scrutiny. The panel, which has not yet released its findings, was expected to focus on the downgrading of crimes, in which officers improperly classify felonies as misdemeanors. It is not unusual for detectives, who handle telephone calls from victims inquiring about the status of their cases, to learn that no paperwork exists. Detectives said it was hard to tell if those were administrative mix-ups or something deliberate. But they noted their skepticism that some complaints could simply vanish in the digital age. . .
That one I’ve blogged before, but I do like it. First impressions are positive. It’s compact in size—clock-radio or smaller—and the controls are well thought out. Good display lights enable you to see what the settings are in a dark room, and you can toggle the display lights on and off. Controls are easily found and identified by a sleepy man in a dark room. For the next model, I suggest you add the option to download (perhaps after purchasing them) additional sound samples—add-on sales to supplement the basic unit sales, plus makes the unit more interesting. In particular, I strongly recommend that you make the device “open-architecture” so that customers can load their own sounds into the unit. I’m thinking that you give the device a mini-USB port and allow users to connect it to their computer to transfer MP3 files for sounds, those files downloadable from the Sound+Sleep site or created by the user. This makes the device a “platform” and should greatly increase product appeal and extend product life. The product runs $130 (after discount) on Amazon.com, but (oddly) it can be brought directly through the site for $100 including a two-year warranty extension (not included in the Amazon price). In Adaptive Mode, SOUND+SLEEP dynamically adds sounds to the SoundStory and automatically adjusts volume to offer superior sound masking or neutralizing capabilities. All that’s left to hear is a soothing natural sound that minimizes disruptions that disturb or interrupt sleep. As intrusive noises subside, SOUND+SLEEP gradually and automatically returns to normal playback settings. SOUND+SLEEP responds to a wide variety of noises, responding best to loud, sudden changes in background noise that can be detected by the microphone and readily differentiated from the sound being played by the unit. The louder the noise, the more readily SOUND+SLEEP responds. If the noise is too faint to be detected by the microphone, SOUND+SLEEP’s responsiveness is reduced, but the likelihood that anyone but the most acute listener will detect the noise is equally low. Finally, certain SoundStories are more effective than others in neutralizing certain sounds because they’re in a similar frequency to the noise you want to neutralize. This following table suggests SoundStories you may find more effective in minimizing certain common sound intrusions. 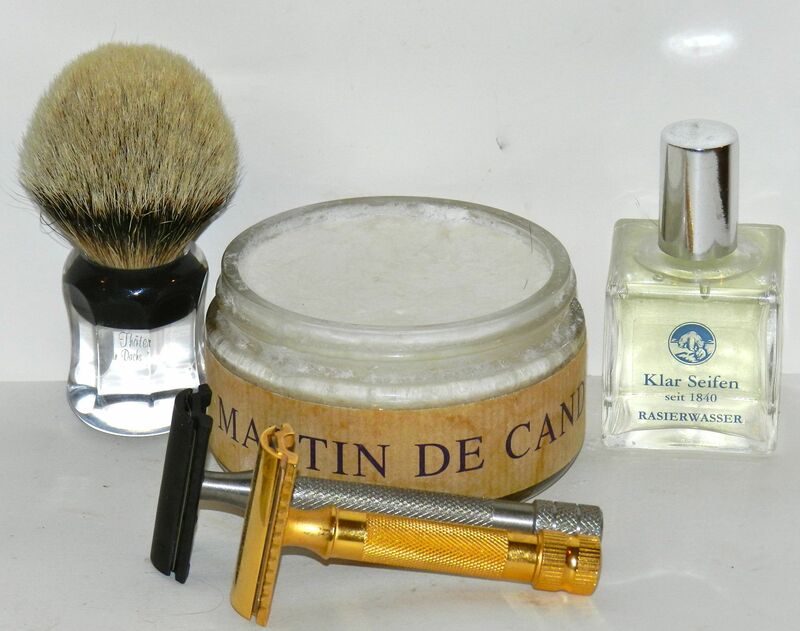 MR GLO, then an enjoyable face lathering using the Thäter brush—a very nice little brush indeed—and Martin de Candre’s excellent shaving soap. I took my time, and then made sure both razors were using the same blade: a new Swedish Gillette blade. The shave is similar—indeed, on inspecting the head, the Weber head very closely matches the configuration of the Merkur Classic head, which the HD uses. However, the razor has a different feel because of the Diamond-Like Carbon (DLC) coating it uses: slick and smooth. The longer handle also gave the Weber a different feel from the HD. That said, however, the two are quite similar in their action. Both use the traditional straight-ahead cut (unlike the Slant), and—as I wrote—the two heads seem remarkably similar in shape. Three very smooth passes, a splash of the Klar Seifen Sandalwood, and I’m ready to wrap up the year. UPDATE: The more I inspect the head, the more I think this is the Merkur Classic head with a new finish—which does indeed make a difference in the feel, as I note. The fact that the wealthy rule the country is a fact. Take a look. And do not forget that outcomes that benefit wealthier Americans—like those in Congress and the Senate who are voting on the measures—may not be so beneficial to their constituents whose incomes are closer to national medians. As the interests of legislators and constituents diverge, look for tighter controls—all those domestic drones and military-oriented police forces—and looser and looser definitions of “terrorist”, though the definition is already so loose it can be worked around to lasso anyone—“speaking in support of terrorist organizations” is pretty loose. Of course, Rep. Peter King (D-NY) won’t be touched for all his vocal and heartfelt support for the IRA (a terrorist organization), and this exemplifies the breakdown of the rule of law: laws no longer apply to the powerful and those they protect (as, for example, those guilty of war crimes before and during the Iraq War). Should prosecutors not be accountable for malfeasance? The Supreme Court seems to believe that a prosecuting attorney is free to do whatever s/he wants to secure a conviction, even if that means hiding evidence that would show that the accused is innocent (as in the case of Harry Connick, Sr., who sent an innocent man to Death Row). This kind of protection of prosecutors as agents of state policy is, of course, quite familiar from the practices of the Soviet Union (with its show trials and forced confessions), but I had hoped that the US would take a more enlightened view. Michael Morton was exonerated by DNA evidence this month after being wrongfully convicted of murdering his wife and serving nearly 25 years in prison in Texas. In seeking to prove Mr. Morton’s innocence, his lawyers found in recently unsealed court records evidence that the prosecutor in the original trial, Ken Anderson, had withheld critical evidence that may have helped Mr. Morton. The judge reviewing the case allowed Mr. Morton’s lawyers, including those from the Innocence Project, which represents prisoners seeking exoneration through DNA evidence, to gather facts about the prosecutor’s conduct. The Innocence Project’s report makes a compelling case thatMr. Anderson, now a state judge, disobeyed “a direct order from the trial court to produce the exculpatory police reports from the lead investigator” in the case. Mr. Morton’s lawyers have asked that the judge recommend a “court of inquiry” to investigate whether Mr. Anderson violated the law and should be charged in a criminal proceeding. While this process is an urgent matter for Mr. Morton, it is also a test of American justice — whether a prosecutor who flouts his duty under the Constitution to disclose crucial evidence to a defendant is subject to any meaningful sanction. Prosecutors have enormous power in determining who is subjected to criminal punishment because they have broad discretion in deciding criminal charges. The Brady rule, established by the Supreme Court in 1963, is supposed to be an important check on that power. It requires prosecutors to disclose evidence favorable to the defendant. But their failure to comply is rarely discovered, and, even then, prosecutors are almost never punished. The Supreme Court, in an outrageous decision earlier this year, further weakened the ability of wronged defendants to make prosecutors’ offices liable by giving them nearly absolute immunity against civil suits. Justice Clarence Thomas justified the ruling, noting that an “attorney who violates his or her ethical obligations is subject to professional discipline, including sanctions, suspension, and disbarment.” But bar associations hardly ever punish this behavior; judges seldom discipline prosecutors for such violations; and criminal sanctions are rarely imposed against prosecutors. This is why the Morton inquiry is crucial. The Innocence Project report found that Mr. Anderson willfully failed to disclose police notes that another man committed the murder, concealed from the trial judge that he did not provide the full police report and advised his successor as prosecutor “to oppose all of Mr. Morton’s postconviction motions for DNA testing.” If a court confirms these findings, it must hold Mr. Anderson accountable — or it will send a message to prosecutors in Texas and elsewhere that the criminal justice system is incapable of deterring or punishing this conduct. There are, however, a small but growing number of prosecutors’ offices around the country that have systems to prevent the gross miscarriage of justice that Mr. Morton suffered. Like the New York County District Attorney’s Office, they allow open records so defendants can have a copy of almost anything in the case file, and they support having courts audit their compliance with Brady. Courts should more closely supervise prosecutors by using pretrial conferences where prosecutors must say what they are disclosing under the Brady rule and what they are withholding. Prosecutors must understand that they will be held accountable — with strong criminal sanctions — when they violate their constitutional duties. I fear, though, that the US is moving in the direction of not being so concerned about guilty vs. innocent, focusing instead on powerful vs. weak, connected vs. isolated, wealthy vs. poor, with the former in each pair getting a free ride regardless of harm done to the latter.